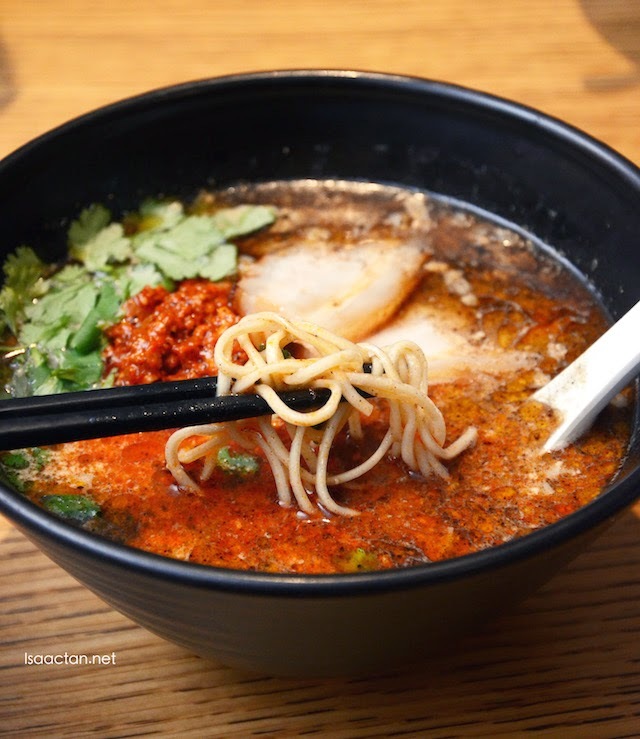 Ippudo Malaysia came up with some rather nice new seasonal special menu 2015 recently. I had the opportunity to try them out at the Ippudo Pavilion branch the other day. Did you know Ippudo is celebrating it's 30th Anniversary in 2015, hence the introduction of this special menu. Check out what we had that evening. We had the smaller portions which were meant for single tasting purposes, so rest assure the actual portion is larger than what is shown in these pictures. 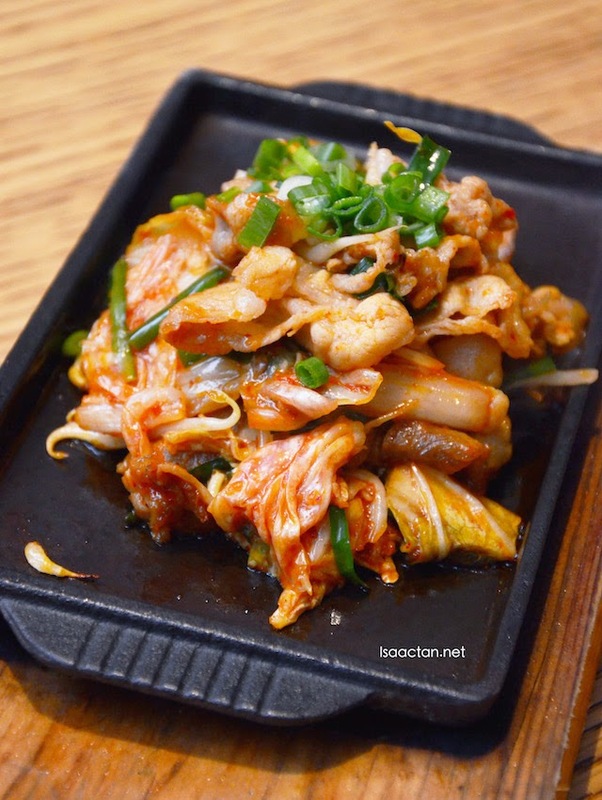 The Buta Kimuchi Teppan had these juicy pork belly slices were served on hot plate cooked together with spicy kimchi sauce, cabbages, bean sprouts and spring onion. I find it interesting that it did not have that heavy kimchi taste, as the Chef made some adjustment on the sauce to suit the local’s taste buds. 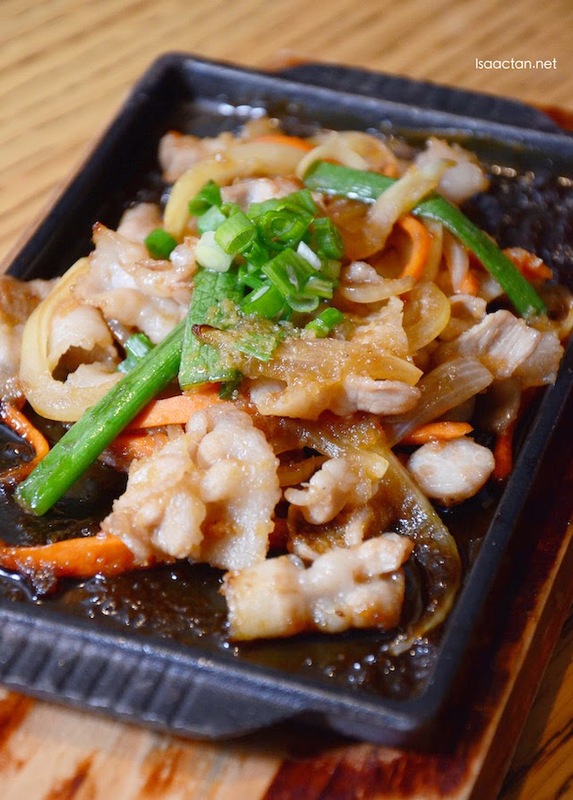 Almost similar to the Buta Kimuchi Teppan, Ippudo's Pork Ginger Teppan had these delectable pork belly slices served with vegetables and ginger paste on sizzling hot plate. Not very healthy, but I like the way it is. Again, the taste is mellowed down, with the ginger providing a minimal flavouring. Much of the taste came from the sauces used. Served on a plate, with very nicely decorations, the Spider Roll had generous servings of spicy mayonnaise and teriyaki sauce on top. 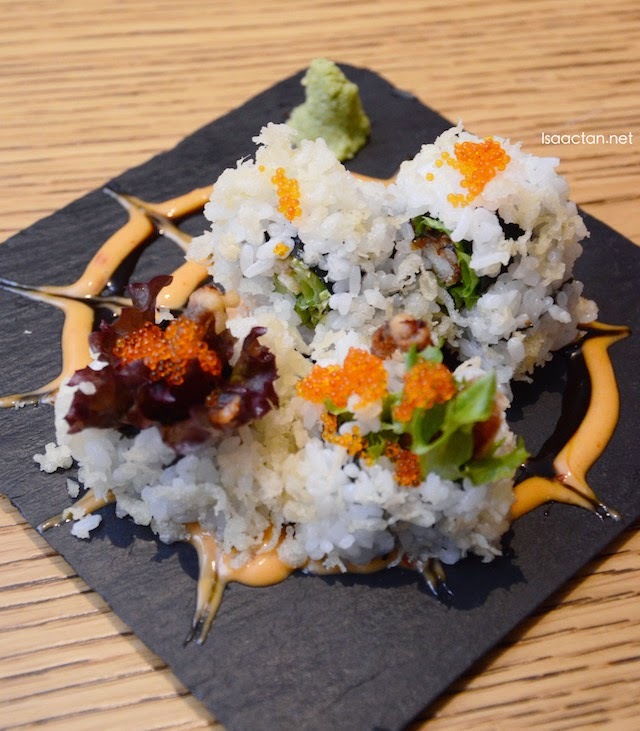 The roll consisted of deep fried soft shell crab with sushi rice, seaweed, cucumber and lettuces. Going well together, I do like that crunchy texture thanks to the tempura flakes and fish roe thrown into the mix. 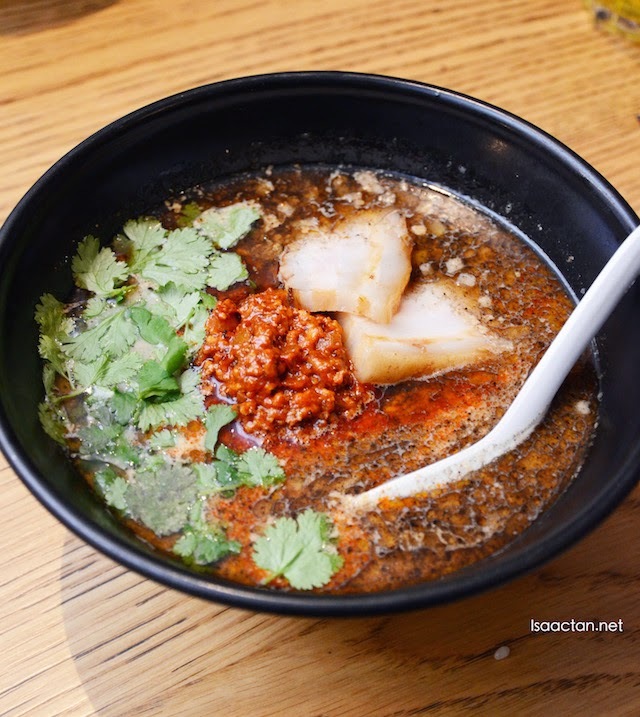 If you have a liking for spicy dishes, then do try out their latest creation the Spicy Black Ramen. The broth itself uses original pork broth with unique spicy nikumiso that specially prepared using black pepper, shansho and other spices. Compared to the original pork broth, these had less 'porky' flavour as the spices took over my taste buds. Served with thin noodles and the chef used their new spicy fragrant oil, a blend of their original and spicy koyu. 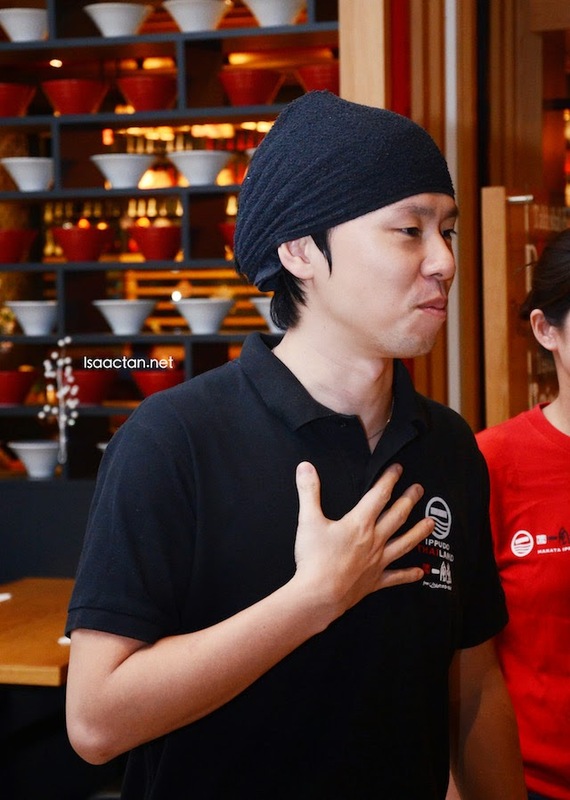 Overall it was a pretty interesting dining experience that evening over at Hakata Ippudo Malaysia Pavilion KL where I had a taste of the their new seasonal special menu 2015. Do drop by their branch in Pavilion KL the next time you're over at Pavilion KL doing some shopping and want to have some ramen and Japanese dishes. Kimchi, no, thank you...ginger, no either...spicy...ummmm...I'll try the spider roll! spicy Ramen. woo.. is it very spicy?